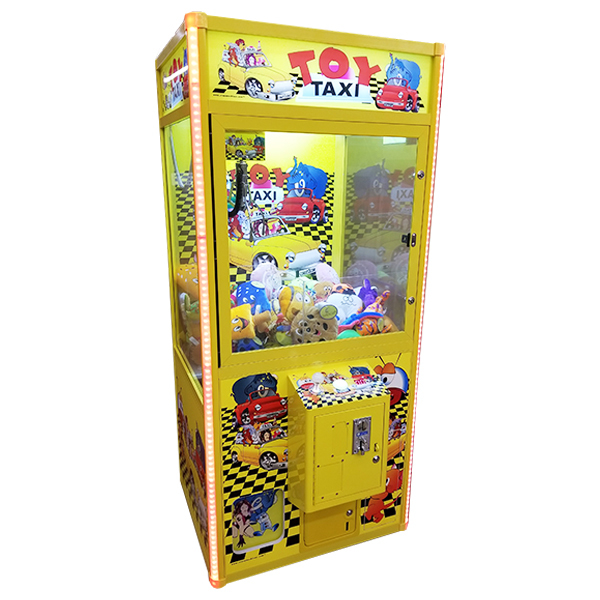 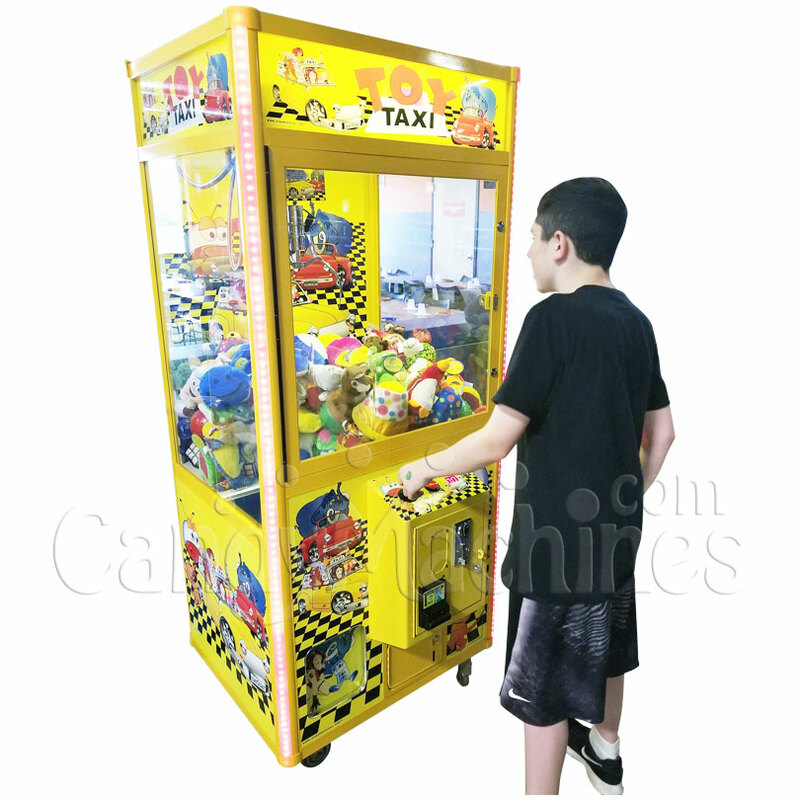 The Toy Taxi Crane Machine is great for keeping kids and adults entertained while waiting at restaurants and movie theaters. 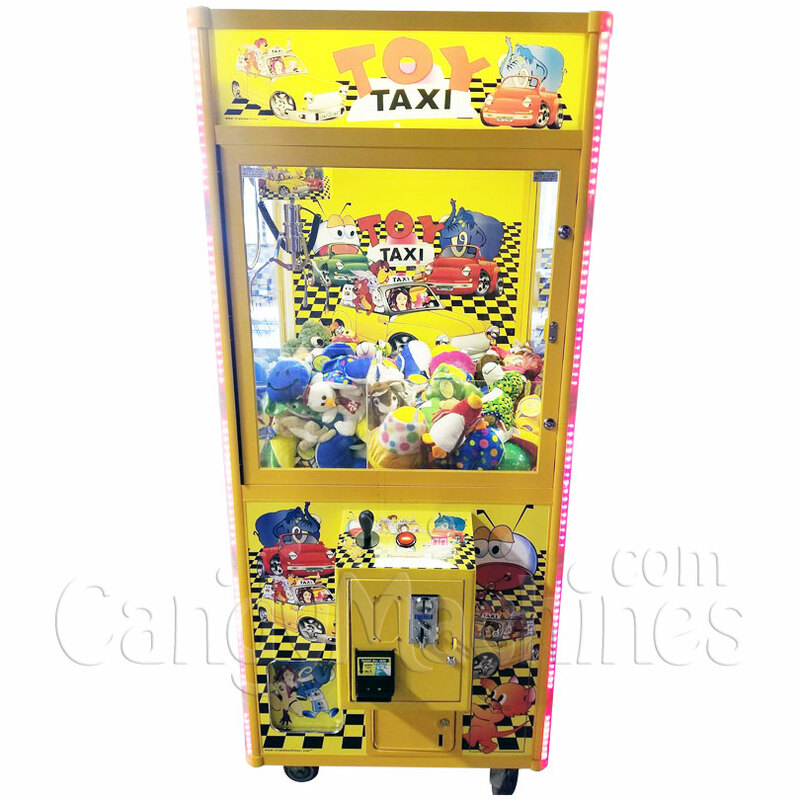 This machine captures the attention of people easily with the colorful graphics and sounds. 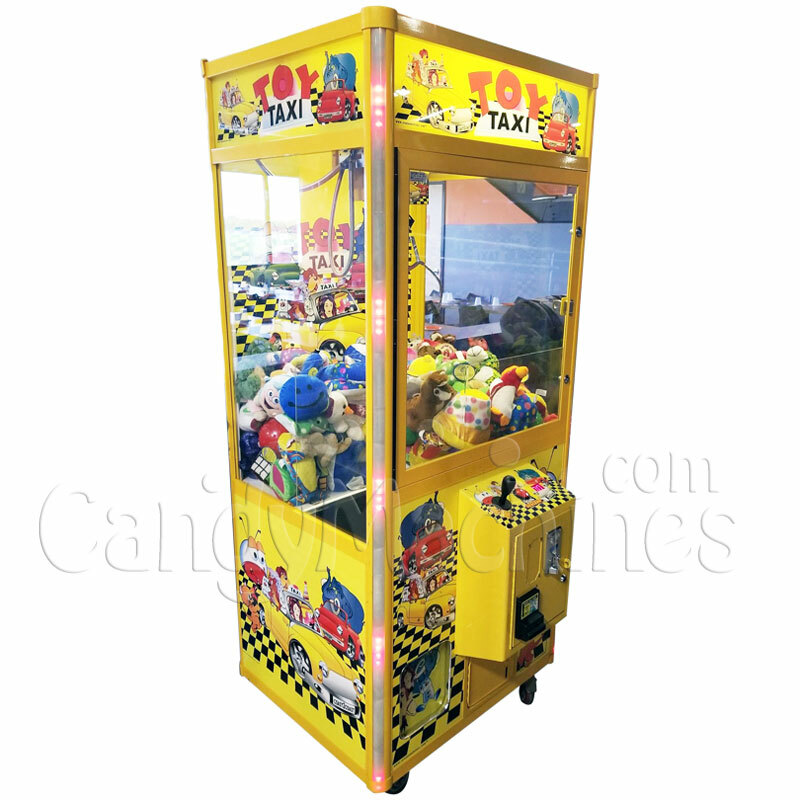 Packed with features, this machine is enjoyable yet affordable.